There was a time when Skype was the default way to video chat with your friends and family members. Pretty much everyone you knew was using Windows and smartphones were yet to become a household name. Things have changed drastically since then. Forget 1-on-1 calls, you can now make group video calls using your droid. This is an amazing way to not only connect with friends who are living far and out but also a cool way to hold group meetings. 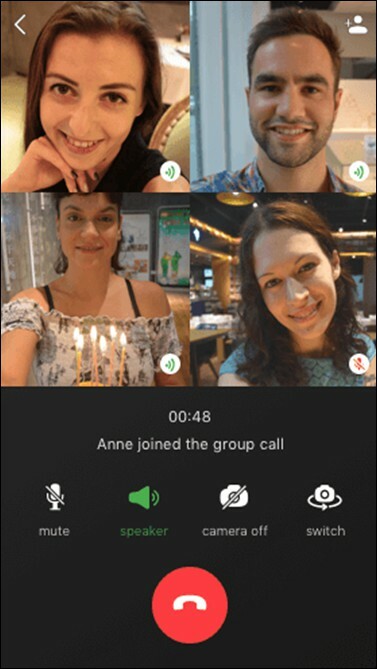 WhatsApp recently started rolling out group video call feature and we thought it is a good time to revisit our roots, and compare all the different group video call apps available on the Android platform. Let’s begin this list with Skype because it is probably the oldest app in the world to support group video calls. Even before there were Android and iOS, Skype was available on Windows. Not for nothing did Microsoft bought Skype for $8.5 billion. What makes Skype popular is that it is available not only on mobile platforms but also PC, Macs, browser, and PlayStation. This makes it easier to connect with people who are using their laptops. Bigger screen means you can view more. You can make a group call with up to 10 people but Skype says the number varies. In my experience, it is good for 3-5 people. As per their FUP (Fair Usage Policy), you can video call for a max of 100 hours a month with a 10 hour a day limit. You can also share your screen. The interface is not the easiest and most intuitive, and it works slow on my Android. On the plus side, you can share your screen and also files. Skype allows you to call regular phone numbers too which is a plus, but for a fee. If the participants in the group call don’t have Android or iOS with them, they can also chat from the Skype Web. Hangouts is Google’s answer to Skype. A free chat messaging app that supports group video calling on different devices and platforms including Android. While WhatsApp works on numbers saved on your phone, Hangouts is connected to your Gmail ID. 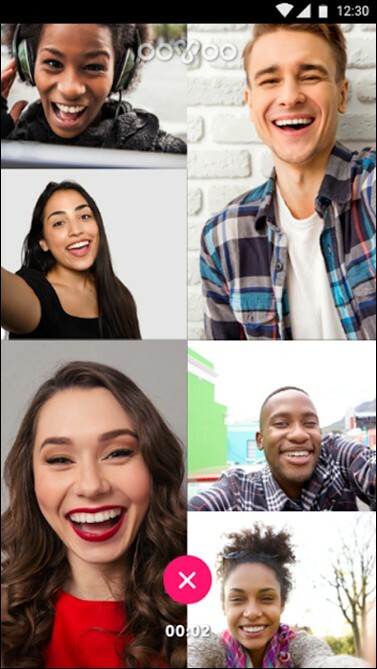 You can connect and video chat with up to 10 people at once. It is worth noting that Google has also released Duo, a 1-on-1 video chatting app. Rumor has it that Hangouts will shift its focus on business users while Duo will begin supporting group video calls. Being a Google product, it plays nicely with other Google services like Drive, Maps, Calendar, and Gmail. 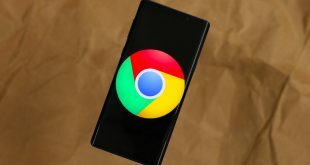 Like Skype, Hangouts is available for both mobile and computer OS. Inviting people to join Hangouts is easy. Send an invitation link via mail. There is support for sharing docs, screen, and emoticons. Where Hangouts differ is the Hangout Air option where you can hold webinars. This feature is also free and you can invite a number of attendees, but is ad-supported. Super useful for teachers and experts. Hangouts video call quality is not up to mark but there is one feature which is cool. You can record your Hangouts group video calls and publish it directly on your YouTube channel. Just like Skype, if the participants in the group call don’t have Android or iOS with them, they can also chat from the Hangout Web. Unforutnly Duo (another video chat app from Google) doesn’t support group video chat. Oovoo is an independent video call app that is not owned by a tech giant. It is available for free on mobile and computer OS platforms but offers no browser support. Oovoo has become a formidable opponent in the last few years. Whereas Appear is focused on meetings, which we will discuss later below, ooVoo is more focused on group video chats. You can connect and video chat with up to 8 people at a time. 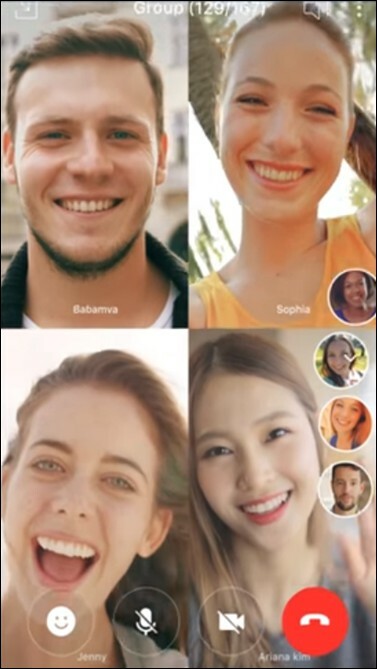 Oovoo comes with a built-in recorder which makes it a better alternative when compared to Skype where most people are scratching their heads on how to record their Skype calls. Another unique feature is the ability to watch YouTube videos together when you are on a group video call on Windows. Wait, what? Shouldn’t this feature be available on Hangouts too? Chains is a new feature that you can use to join multiple videos and share it with your friends or the community at large. The app is free and ad-supported but you can remove them and support sync to more devices by paying $29.99/year. You can share files, emoticons, GIFs, and stickers, like in any other app. 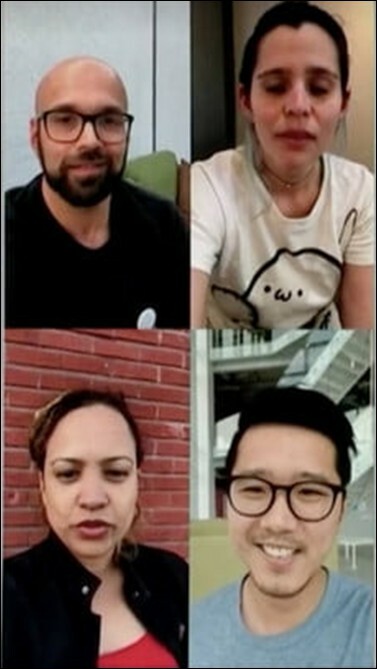 One of the recent updates was group video calls on Android and iOS. The only problem is that WhatsApp group call support only 4 people. To start a WhatsApp Video call, start a video with one of the contacts. Once the call is set, you will see a button at the top-right corner of the screen that will let you add another participant to the call. Pretty much everyone you know is on WhatsApp which makes it an ideal choice for making group video calls. It is also one of the easiest video call app to use. Other than 4 people limit, another limitation is WhatsApp video call, is that it doesn’t support group video call (or even normal video for that matter) on WhatsApp Web. Facebook, like WhatsApp, enjoys a large user base which puts Messenger in an ideal position. Sadly, Messenger fails to attract the kind of love and attention it should have received. The app is known to be slow and buggy. It has the power to slow your mobile phone to the point where people often recommend to uninstall it to improve battery life. Plus, Facebook is known for harvesting user data for all the wrong reasons. 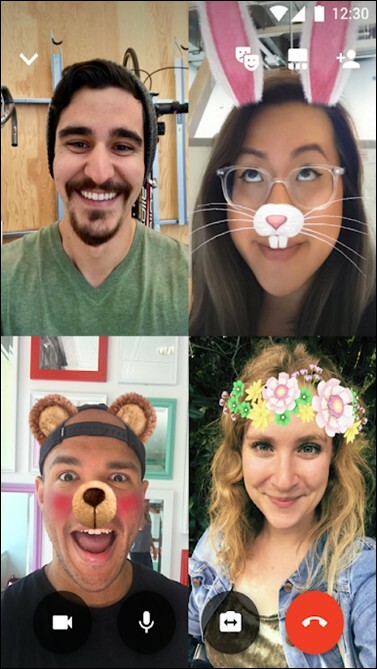 According to Verge, Messenger will allow you to group video chat with up to 50 people which is an absurd number in my opinion. How do you see so many people on your screen? On the other hand, unlike some other group video apps, you have to create a group and add people to it before you can group video chat. 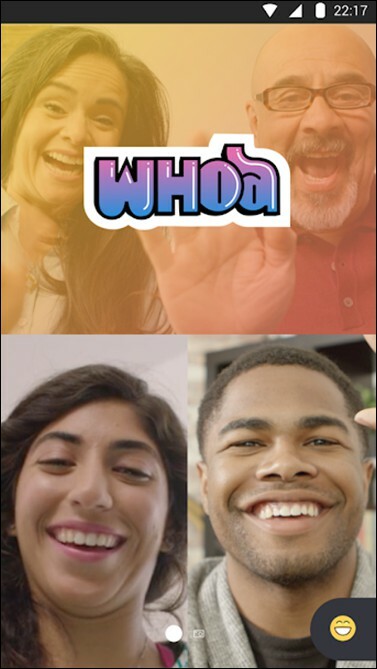 You cannot directly add people to video chat. That said, not everyone has to be online while you start the group chat. The added participant can join the video chat later on either from Facebook messenger or Facebook web. Facebook messenger lite doesn’t support group video call. Still, most people you know are already using Facebook so you don’t have to ask and send requests to people. The only thing going in its favor is that it is free and integrates with Facebook. Messenger also offers probably the largest collection of in-app games and live stickers. IMO is more popular in third world countries where people mostly use it for chatting and video calling. The reason being that IMO also supports 2G and 3G network with low-quality video calling. This helps people with slower Internet plans or lower end smartphones to make video calls. When it comes to cross-platform compatibility, there isn’t much to write home about. Not too many features which means the app is free from bloatware and works fast. Aside from this, nothing much on offer. The app is free but ad-supported. It is known to use less data when compared to other group video calling apps. IMO recommends keeping the users between 3-6 during group video calls. JusTalk is relatively not so popular as some of the behemoths mentioned in this list, but that doesn’t mean it isn’t worth taking notice of. The app is a really good alternative for making group video calls on Android. 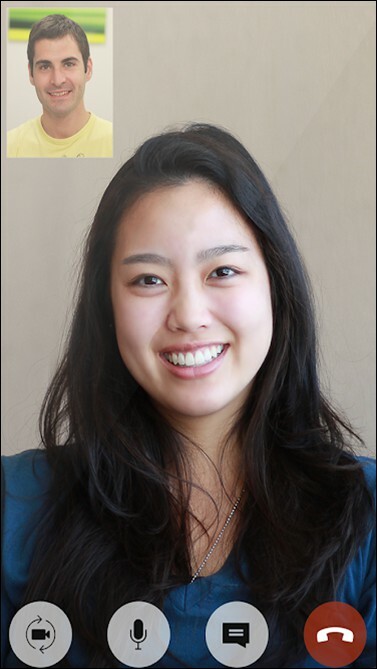 Like ooVoo, JusTalk will allow you to record your videos calls directly from within the app. This is useful if you are using it for important discussions. I like the doodle feature that it comes with using which you can create doodles on your face, or anything else on the screen, while you are live video chatting. It comes with a lot of themes and other personalization options like stickers and GIFs that are available as in-app purchases. The app is free to use but ad-supported. JusTalk is available on Android and iOS but no other platforms or browsers are supported. Line is another popular video call app available on the Android platform. Apart from the all the usual features that are available on other apps, Line also allows you to create polls for feedback. This can be useful for monthly or weekly group video call meetings. Like JusTalk, Line also allows you to use effects and filters live during video calls making the app more fun to use. Line also allows you to follow accounts of public figures, however, you cannot video chat with them if they so choose. There are emoticons and stickers available as in-app purchases. The app is free to use but ad-supported. Slack has become the go-to app for business, both small and big. It offers a chat-like interface where you can also make group video calls to up to 15 people. The only caveat is that the feature is available for paid users. Where Slack shines is its ability to connect and work with a number of 3rd party apps like Drive, Hangouts, Appear, and Dropbox to name a few. 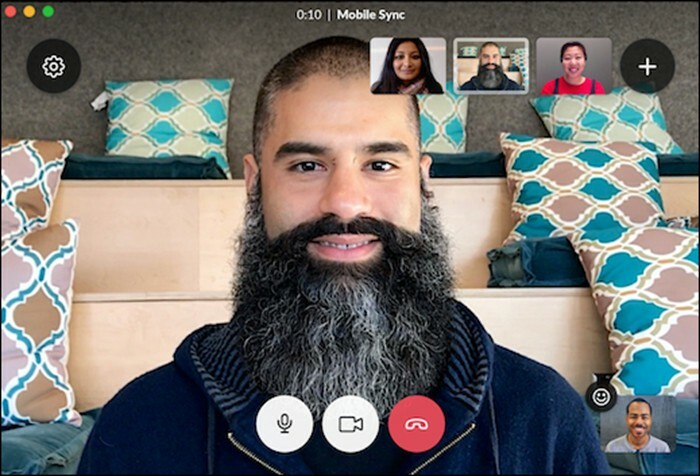 You can also use Slack to make group video calls using other 3rd party apps like Zoom and Skype. File storage is restricted at 10GB per user in the pro plan. Slack is also available for pretty much every platform including browser support. There is support for emojis, emoticons, and files. Slack is focused on business users who are looking to work and collaborate together. Pricing begins at $8/mon per user. All of these apps started as messaging and voice calling apps, and slowly started providing video calling among other features. If you are looking for an app that is available on pretty much every platform you can think of, you are looking for Skype. Not the best but the oldest and with the most support for other platforms. 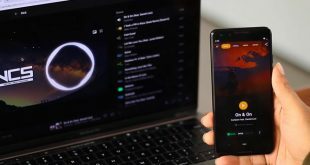 If you are looking to record your video calls with ease, ooVoo and JusTalk are a better solution because they offer this feature right inside the app. No 3rd part integration needed. 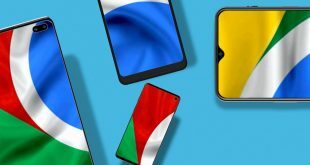 If you need an app that works with 2G/3G data or you have a slow Internet connection, IMO is a better solution but with few features. If you are working in an official environment, I believe you are already using Skype or Slack. 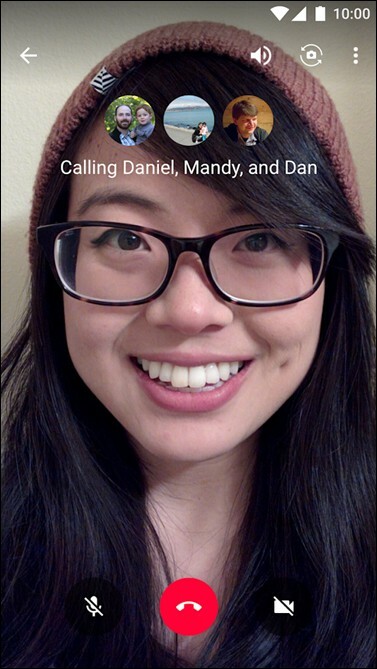 If you want a group video call app to share screens, Hangouts is the best. Though WhatsApp video call is still rolling out and will be available in a week or so to everybody, I believe it is going to be the easiest of the lot to use based on its current UI design and adaptability rate.